The Western Orthodox University and the Western Orthodox Academy have entered into a Treaty of Full Collaboration, Partnership, Accreditation and Recognition with the Venerabile Confraternita (o Compagnia) detta del Buonconsiglio di Città di Castello and the OR.VEN. 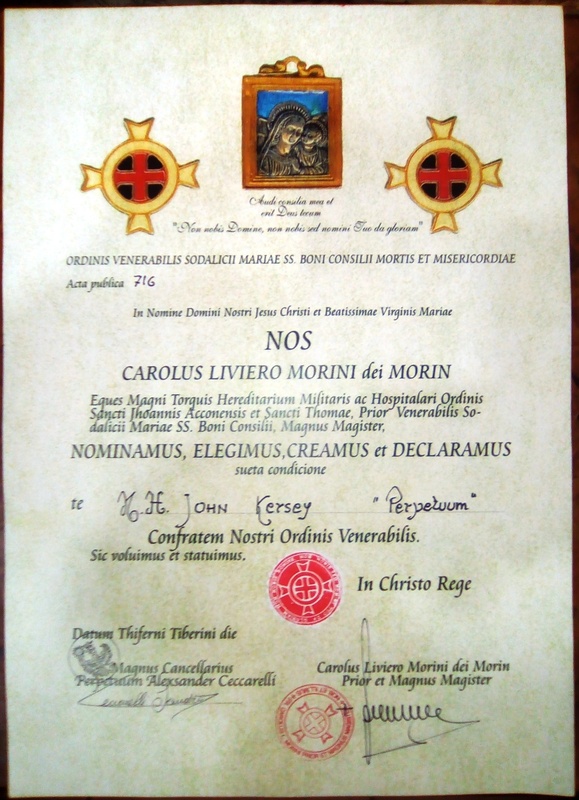 – Ordine Venerabile della Venerabile Confraternita di Maria Ss.ma del Buonconsiglio della Buona Morte e Misericordia, Città di Castello, Italy (Order of the Venerable Confraternity (or Company), known as of (Our Lady of) Good Counsel of Good Death and Mercy of Città di Castello). This chivalric and Christian brotherhood can trace its origins to the last years of the first millennium (990-999 A.D.) and in its present form dates to 1230, making it probably the oldest religious brotherhood in continuous existence today. 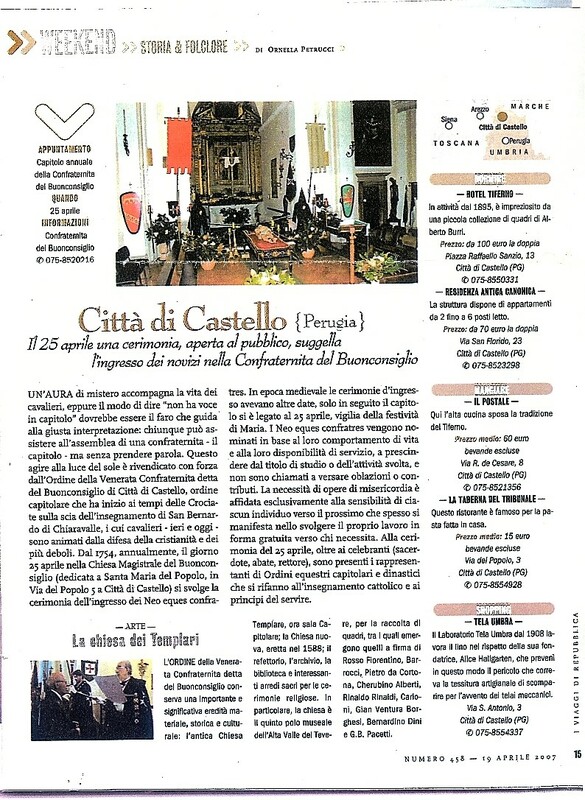 The Order is based at Città di Castello (Province of Perugia) where it has its own Magistral Church, and is governed by a Grand Prior (Grand Master). The Chancellor of the Western Orthodox University has the honour to be a Perpetuum (Grand Cross) of the Order, its highest rank.